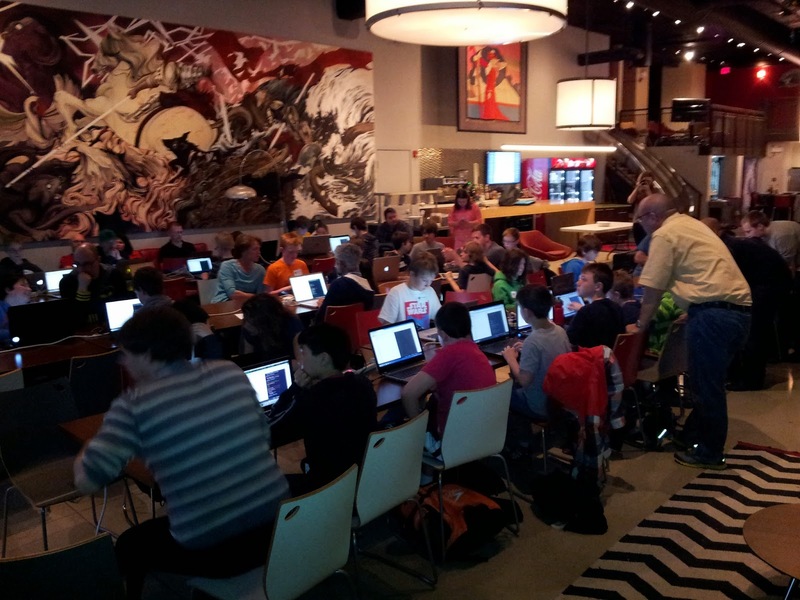 Last week, the Dude and I spent Saturday afternoon at Code for Kids. 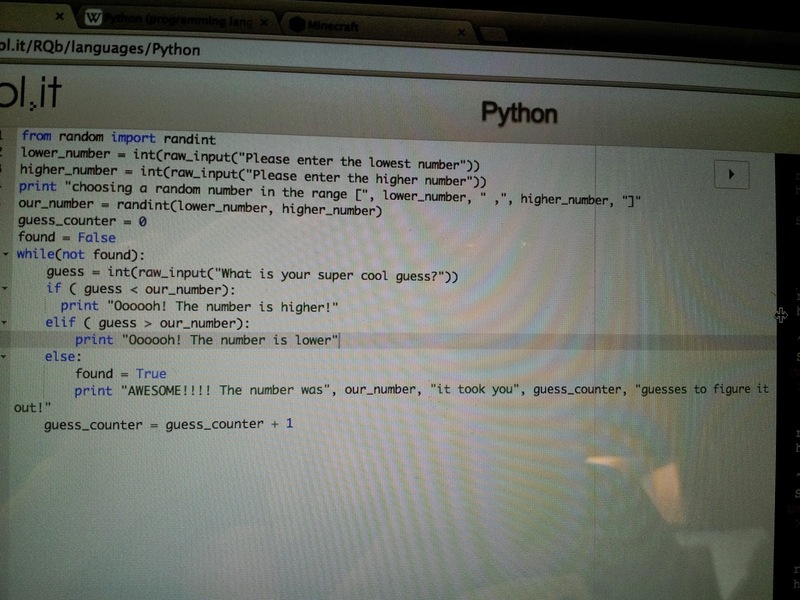 This time the topic was Python; the kids spent the afternoon building a simple number guessing game and learning basic Python commands in the process. Once again, the organizers delivered a fun workshop with easy-to-follow instructions and definitely catered to their audience of 9-13 year olds. After the session was over, I was able to chat with the organizers a bit and get a sneak peek into some upcoming news. Did you see their new website yet? It went up a couple of days after the event and makes finding local events in your city even easier. (Code For Kids is now in Ottawa, Montreal, Toronto and Kingston.) If there are no events scheduled, I suggest getting on the mailing list because events are selling out within mere hours these days, especially in Ottawa. They also told me about some very exciting projects they are working on, including a way for kids to continue working on their projects after they leave the workshops, and some really fantastic upcoming events. I can't share anything more with you right now, but I will as soon as they let me!